So yea, I'm a huge Indiana Jones fan(surprise surprise ). 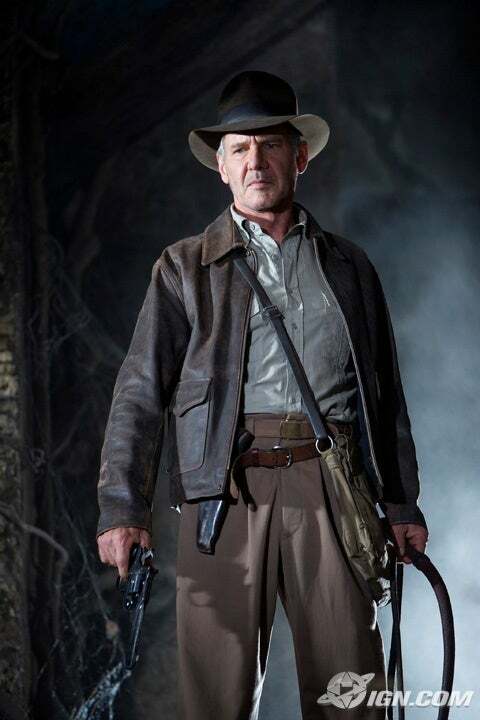 And there's a little film called Indiana Jones and the Kingdom of the Crystal Skull coming out in May. A lot of the plot has been kept fairly under wraps, but I figured we might as well start speculation and a countdown. Pretty damn cool if I must say so myself. So...we might get to see Indy go to Atlantis again. If you don't want details that are supposedly official, don't read this. You have been warned. It's going to be another Temple of Doom weak link, since it won't feature Nazis. Indiana Jones BEATS UP NAZIS. It's his Purpose, damn it. Communists are a poor replacement, because instead of being evil and dying horribly from the Lord's holy wrath, they see the error of their ways and team up with Indy to defeat whatever horrors their Stalinist archaology team dug up. Very cool, although Indy doesn't look like he's aged at all. Which is unrealistic. 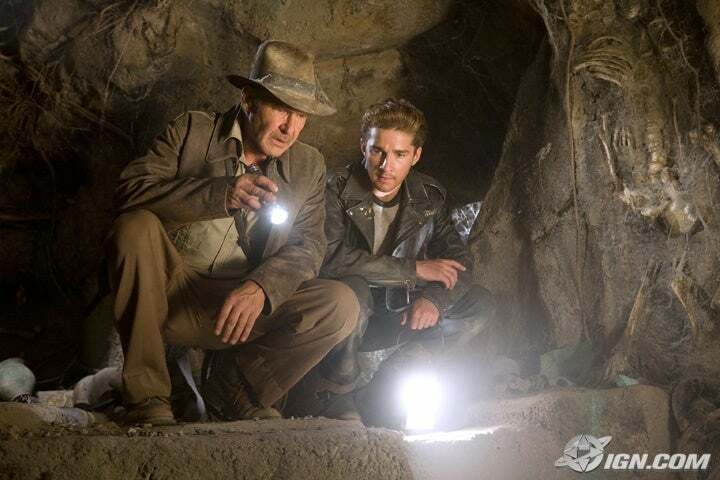 Is it even possible to have an Indiana Jones movie without Ford? If you ask me, he looks plenty older. Although in some shots, it does look like he hasn't changed at all. I just hope that in the finished project, he doesn't keep "switching" between young and old. Well, yeah, I just meant in that poster. Hehe. Old Indy. What next? Old Han? I would watch it, just for the Ford parts...then I'd cower in the corner as Lucas added more crap. If you look closely, you can tell he's older. But at first glance, it just mirrors the Temple of Doom teaser. I think Drew struck a nice balance with it. Well, all of the younger talk threw me. He's not younger. He's Harrison Ford. I think that's the single best comment I heard in a long time! Oh no. Han now has a new best friend forever. Han marries Mara now?!?!?! Or WHAT? And then who would Skywalker get? Callista? Never...mention...those books....Mara and Lando...WHAT THE HELL? Well, I think it was meant to be more of a business arrangement, it all depends how you interpret what you're reading.